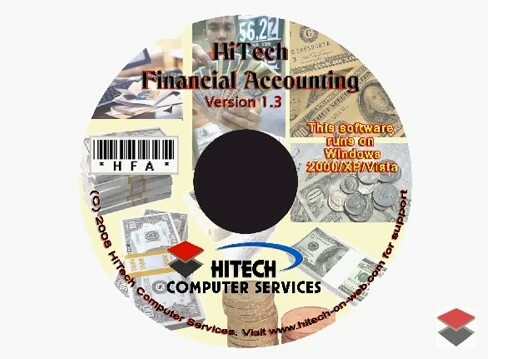 Multicolumn Cash/Bank Book; Accounts Module - Hitech Financial Accounting & Inventory Control provides a fully-integrated system that includes Orders, Releases, Cumulative Tracking, EDI, Bar Code Labeling, Finished Goods Receipts, Dispatch notes and Shipment Labels. - HiTech Pharmaceutical SSAM (Accounting Software for Medical Billing), Business Management and Accounting Software for pharmaceutical Dealers, Medical Stores. Modules :Customers, Suppliers, Products, Sales, Purchase, Accounts & Utilities. Free Trial Download. Hospital Supplier Accounting Software, Medical Shop Management Software, Billing, Invoicing, Inventory Control and Accounting Software for Medicine Dealers, Stockists, Medical Stores, hospital suppliers. Modules :Customers, Suppliers, Products, Sales, Purchase, Accounts & Utilities. Free Trial Download. In any business perhaps the largest number of transactions are involving cash or bank. Multicolumn Cash/Bank book is a book of accounts where all cash / bank transactions are recorded in a multi-columner format. All the bank accounts are displayed. In Multicolumn Cash / Bank book the cash / bank transactions are recorded date wise. 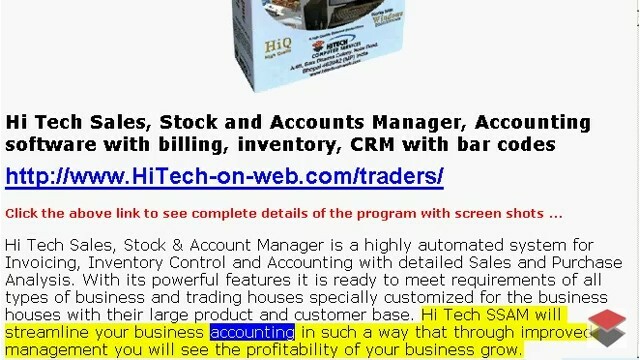 In computerized accounting no entries are made directly in multicolumn cash / bank book and the multicolumn cash / bank book can be prepared any time using the Cash account and bank accounts in ledger. Cash / Bank balance on any day can be ascertained by balancing both debit and credit side which is done automatically when the multicolumn cash/bank book is displayed. This report also displays the total balance of cash and bank alng with each transaction. To display Multicolumn Cash/Bank Book give Menu Command Multicolumn Cash / bank Book . Multicolumn Cash/Bank Book window will be displayed. By defaultthe multicolumn cash / bank book is displayed for the current period. This current day is displayed in the frame marked period. Press the option button List All to display the multicolumn cash / bankbook for selected period . Any period can be selected for displaying multicolumn cash / bank book of that period. To select period press option button Date ,for help refer Period Selection Enter the two dates in the text boxes which will be displayed and press command button OK . The multicolumn cash/bank book of selected period will be displayed. Multicolumn Cash / Bank Book can be consolidated bank wise.